Cadillac exterior design director Bob Boniface, who led the team that styled the Chevrolet Volt, showed off his 1960 Alfa Romeo Giulietta, which was a 13-year restoration project. Employees of General Motors design staff planned to take part in Woodward Dream Cruise festivities last week in suburban Detroit by displaying their classic cars. 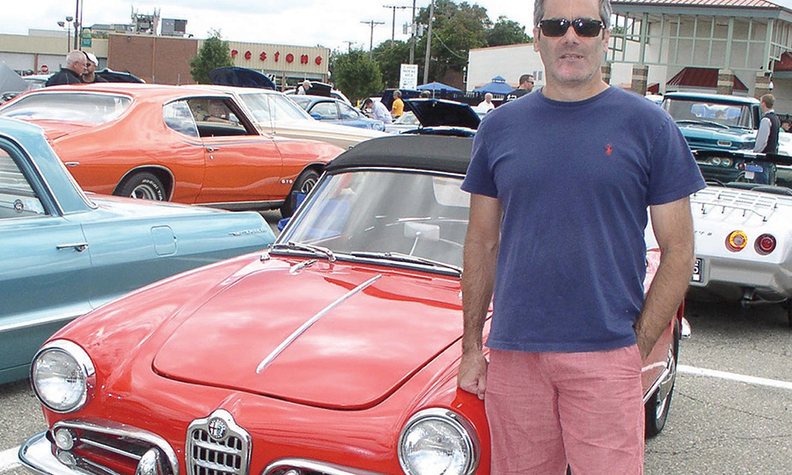 Cadillac exterior design director Bob Boniface, who led the team that styled the Chevrolet Volt, showed off his 1960 Alfa Romeo Giulietta, which was a 13-year restoration project.